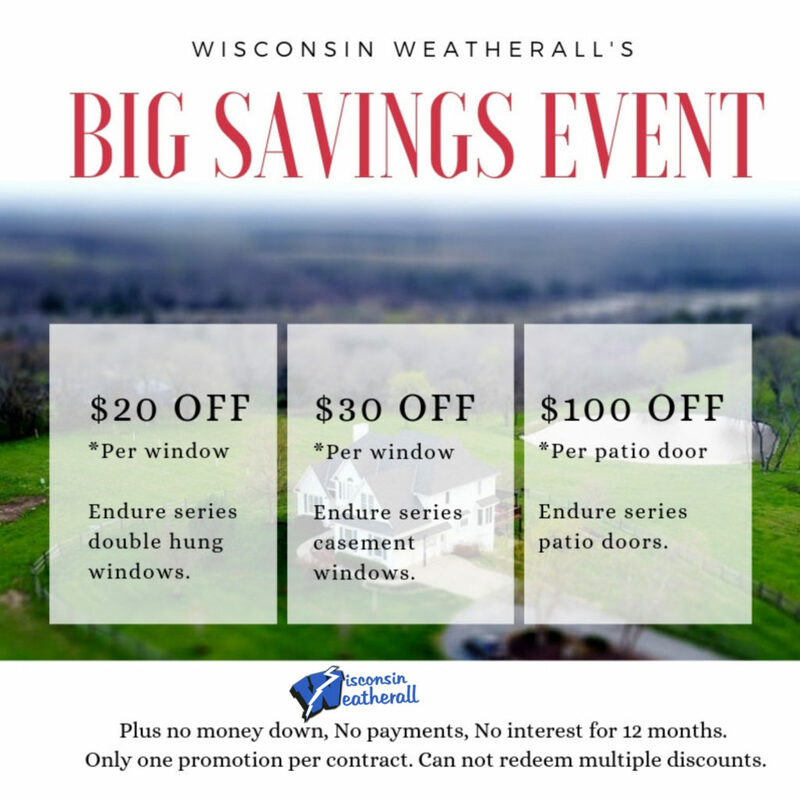 Wisconsin Weatherall’s Spring Sale is here! 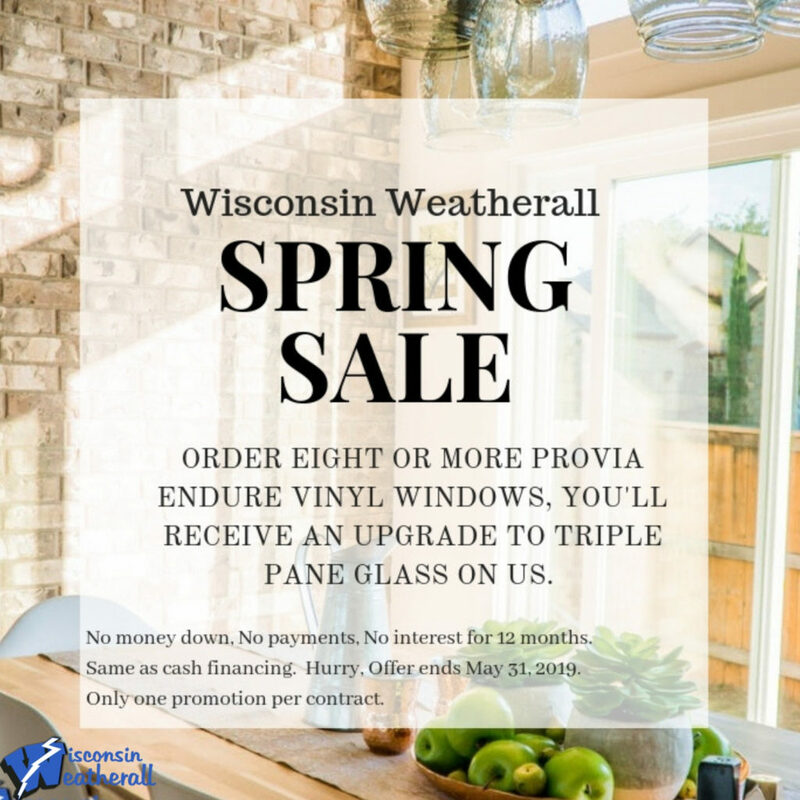 Order 8 or more Provia Endure Vinyl Windows and you will receive an upgrade to Triple Pane Glass! Contact us for more information on these specials!